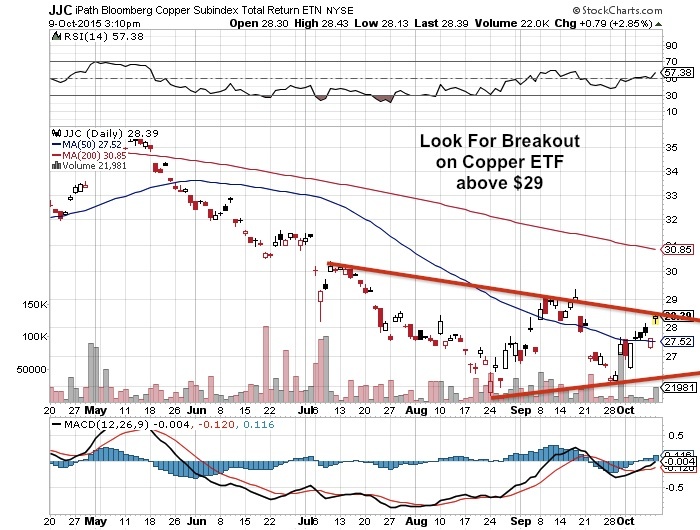 For the past two weeks I have written to my premium subscribers to look at copper and the industrial metals as I saw deep pocketed private equity funds and billionaires such as Carl Icahn and KKR taking big bets on beaten down Dr. Copper hitting five year lows. I knew that a bottom could be forming and that we could be near the final turn. It was my first copper bet in many years. Now it appears that the call of a bottom in copper and industrial metals could be confirmed by the recent news that Glencore is cutting global production of zinc. 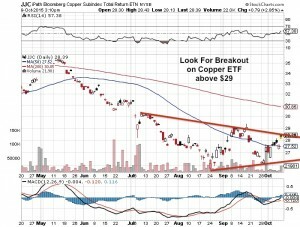 Copper and nickel could be next. The Commodity Giants such as Glencore are in great financial duress right now shutting down mines left and right that are losing money at these low commodity prices. They recently shut down two African Mines. Other industrial metals most notably copper are also rising as the recent downturn in prices has forced many of the high cost mines to shut down as well as the companies could not turn a profit. The news out of Glencore over zinc is also shocking the copper market highlighting the painful effects of this commodity crash as even the giants have fallen. There is a coming supply shortage coming to the commodity markets which could be unparalleled as the major miners have been absolutely devastated in this historic downturn. Excelsior's Gunnison Project is possibly the lowest cost and most advanced project in the US in control of a junior miner at the Prefeasibility stage. Because of the uniqueness of the project copper can be recovered through In-Situ Recovery (ISR). I have learned about ISR from the uranium sector most notably from the low cost ISR producer Uranerz Energy which was acquired by Energy Fuels (UUUU) earlier this year. 2)Keep a close eye on Uranium Resources (URRE) whose merger with Anatolia is deeply supported by both sides. This new deal could make URRE a near term low cost producer with the Temrezli Project. Cost savings were impressive and the company could be well positioned after the consolidation for the coming upturn in uranium prices. Don't forget URRE has many idled projects in the US which could also provide leverage to a rebound in uranium prices. In the meantime, URRE will now have the Temrezli ISR Project which is at the Feasibility Stage and could be a profitable project even at these low uranium price levels. Merger should close around November 9th. 3)An earlier stage nickel explorer in Voisey's Bay Equitas Resources (EQT.V) continues to excite me and grab the attention of the junior mining investment community. They recently acquired additional claims to the west of their Garland Property which the company is currently drilling. VP Exploration of Equitas (EQT.V) Everett Makela recently stated in the press release, “I am pleased with the progress of the Phase 2 campaign to date..The three additional anomalies at O, P and Q increase our odds for success, and we are adjusting the program to accommodate exploration of these targets. Recent interpretation of the multi-km Southern Response Trend has led to a shift of exploration focus to this area. We will continue to provide updates on results as they become available”. Mr. Makela worked with Inco and Vale on nickel exploration and is a specialist in target generation and managing exploration programs. Disclosure: I own shares in MIN, URRE and EQT. They are all website sponsors so I do have a conflict of interest as I would benefit if the share price increases. This is not financial advice. Please do your own due diligence as there are many risks.